So Santa and the CIA (Christmas Intelligence Agency) have officially handed over the Santa Cam network to the Easter Bunny and his Posse .... for the month of March anyway. THAT dear children means ALL the cameras and lights in Shopping Centres as well as the ceiling lights at school and in the home are acting as surveillance cameras for the Bunny Brigade. Yep that furry bunch of agents can see at ALL times if you are being good boys and girls and only well behaved children will wake to yummy surprises on Easter Sunday morning. In our house we don't want to take any chances, so good behaviour is in check. Bahahaha OK kinda ..... sorta ... well they are trying! But what they lack in restraint from attempting to kill each other, they are more than making up for in their enthusiasm for creating all things Easter flavoured. 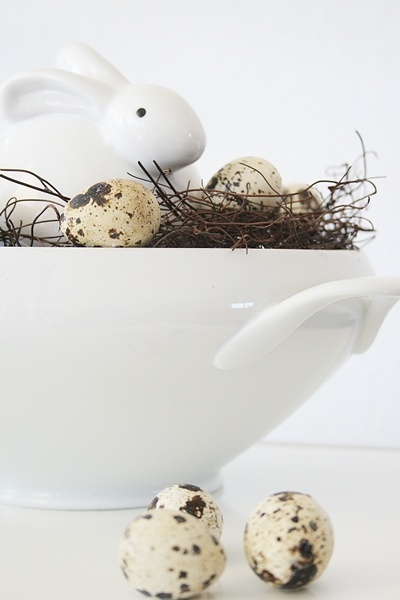 I have been madly pinning away on Pinterest for some cute Easter and bunny inspired ideas for us to make. Some of the pins are outrageously adorable but entirely unrealistic. Others are ... well I'm hoping they are slightly more manageable. 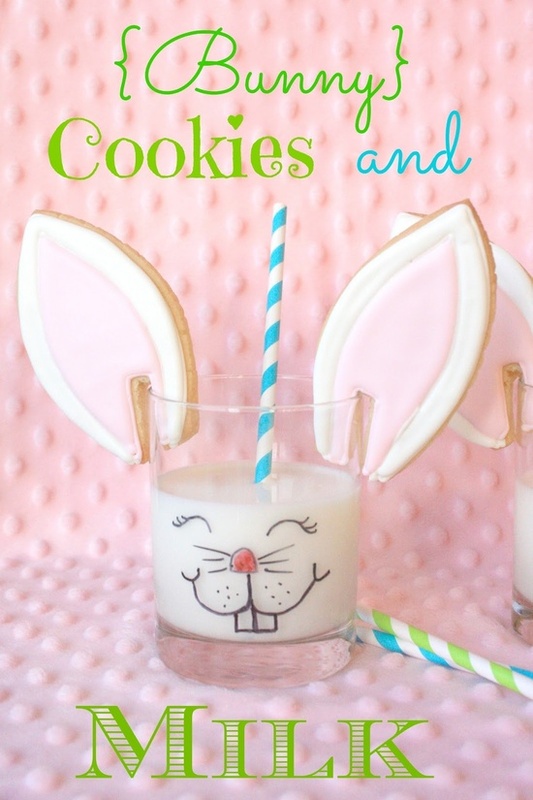 I thought I would share some of the cute ideas I've been pinning and links to fabulous blogs where you will find the instructions, just in case you feel all inspired to get your own bunny on. 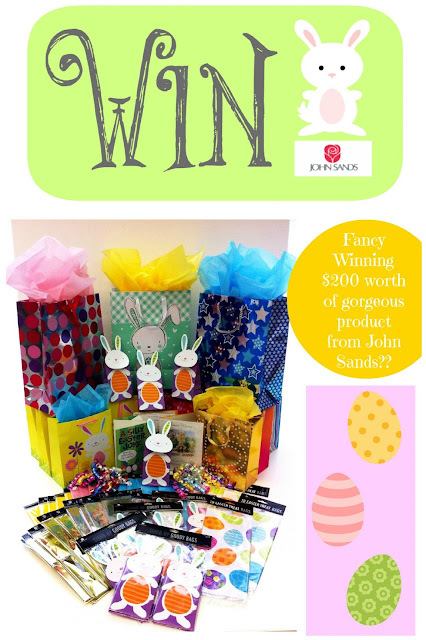 Oh and let's not forget I also have a fabulous giveaway from John Sands at the end of this post to get you totally in the creative Easter mood. 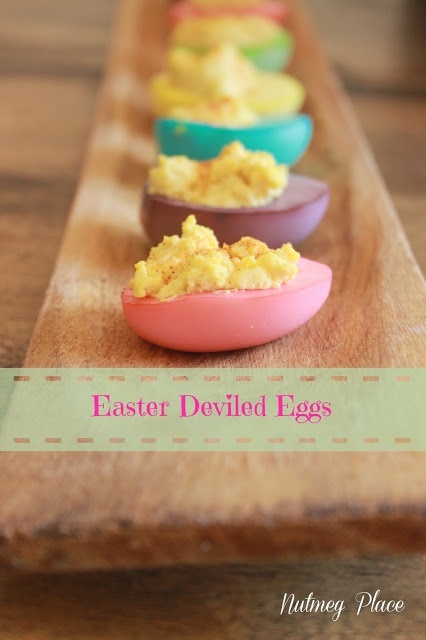 So without further adieu, here are my favourite Easter Pins / Ideas we are going to be attempting. Some gorgeous Bunny treat bags from Probably Actually. What kid wouldn't love to get one of these? 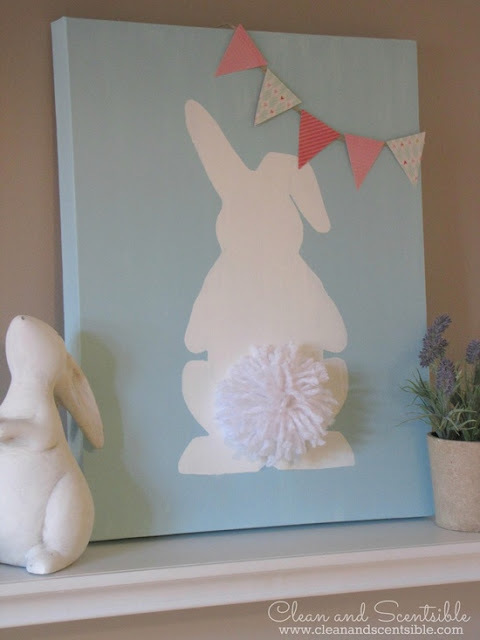 I adore this cute bunny canvas from Clean and Scentsible for a little Easter decoration. I seriously would roll a whole batch of these funny bunny cookies from Munchkin Munchies. Thank heavens the diet finishes on Good Friday! 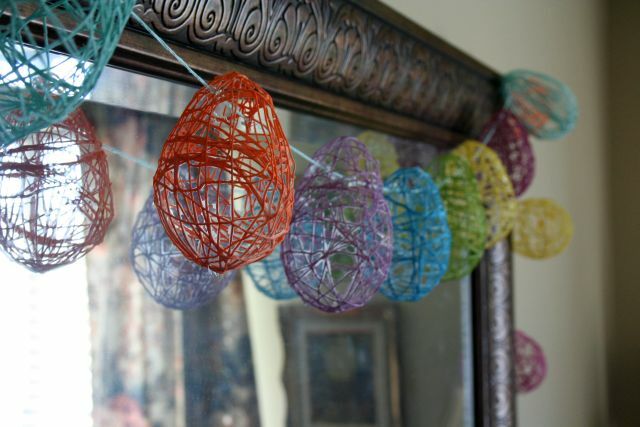 I am so making these Subway art Easter Eggs from Lil Luna. 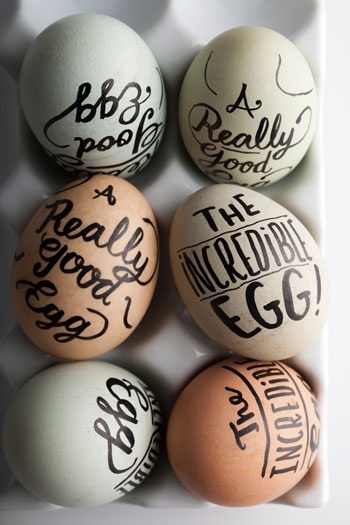 AND these wordy eggs from BonAppetit. I could have a crack at this garland (get it? crack.... ? errm yep) from Crafty Endeavor. So yes I been going a little pin crazy lately, but hey what's a girl to do when she cant be drinking vodka cocktails? I have pinned loads more pictures of really cute ideas you can make for Easter and if you are interested, you can check them out on my Easter Pinterest Board Here. Now I mentioned something earlier about a special Giveaway from John Sands didn't I? Well our fabulous friends at John Sands want one of you guys to win ALL of the gorgeous goodies in the picture below. 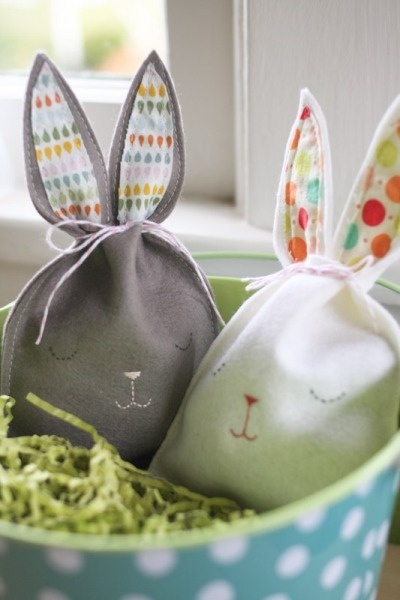 That bundle of awesomeness is worth $200 and contains loads of Easter themed Gifts bags and gift wrap along with everyday wrap and tissue paper. 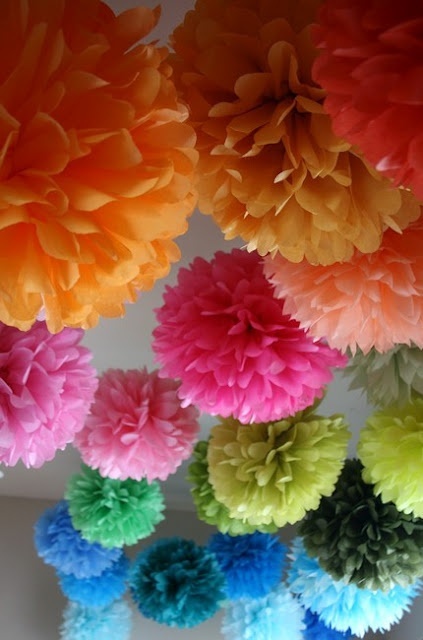 You wanna make tissue paper Pom Poms? You can make a bucket load of Pom Poms with all this loot. And you thought John Sands are just manufacturers of cute cards. No people - these guys make greeting cards, gift wrap, stationery AND calenders. They do it all! 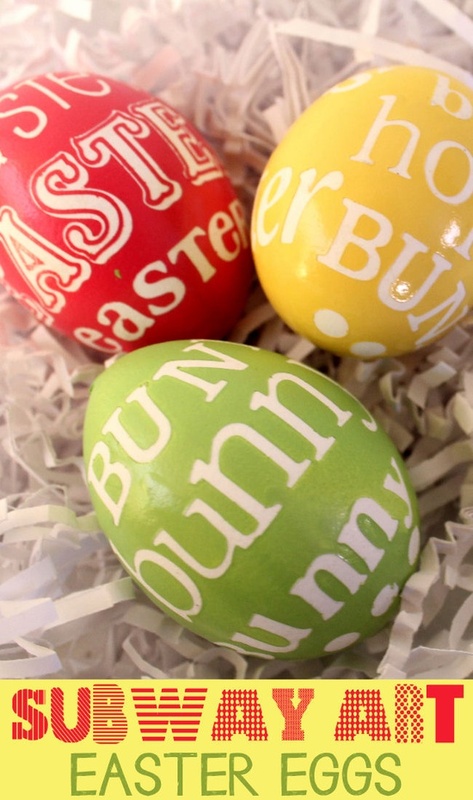 I am going to run this competition for one week only because I want the winner to receive their goodies in time to do a little Easter crafting. So the competition is open now and closes 7pm AEST Monday 18/03/2013. See the instructions below on how to enter. 1. You must like the John Sands Facebook Page (click here to go to their page) and don't forget to say hello whilst you are there. 2. 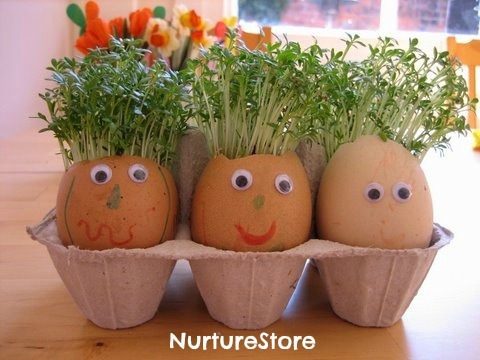 Leave me a comment here on this post sharing an Easter memory from your childhood. Prizes will be sent to you direct from John Sands. Please make sure you follow both steps to be eligible. The Competition is open now and closes at 7pm AEST Monday 18/03/13. Kim's comment about her brother kicking his giant football egg and smashing it into smithereens made me spit out my coffee as I can totally imagine my boys doing the same thing. I remember when my younger brother thought his giant size easter egg was a football and kicked it from one end of his room to the other! He was devastated at the gazillions of pieces of chocolate decorating the floor!! So was Mum!! This was a really hard one to choose as there were so many amazing entries and so many beautiful memories and new memories being made. A special mention goes to Sarah with the demon bunnies at school! Congratulations though Kim, You are the winner of the John Sands Easter Giveaway!